BONLEE — The Rockingham 9-10 All-Stars faced another one-run deficit in as many nights. This time, though, the game had a far different final margin. 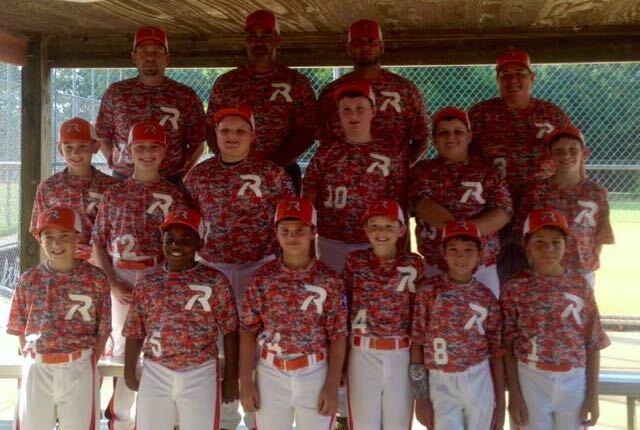 Will Dawkins’ three-run home run — his second of the tournament — highlighted a nine-run second-inning and the Rockingham Mustangs scored a mercy rule-shortened 15-5 victory over South Stanly Monday night in the Triple A Dixie Youth tournament in Bonlee. Rockingham put the first notch on the scoreboard when, in the top of the first, Trip Hodges singled and came around to score on Dawkins’ single. South Stanly answered with two runs of its own in the bottom of the first. 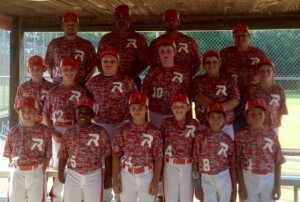 Just like Saturday, the Rockingham All-Star squad faced a one-run deficit. Instead of turning in a magical but heart-stopping performance en route to a 5-4 victory, this time the offensive floodgates let loose in the second inning. On the mound, starting pitcher Ashton Phifer picked up the win. The game started nearly two hours late after the earlier contests were pushed back. The Mustangs advance to play at 7:30 p.m. Tuesday in Bonlee.